For the first time in over four decades, the original 1968 Ford Mustang GT Fastback from Bullitt was shown at Detroit. Ten years ago, Ford paid tribute to the with the launch of a special Bullitt-branded edition of the fifth-generation Mustang to celebrate the film’s 40th anniversary. 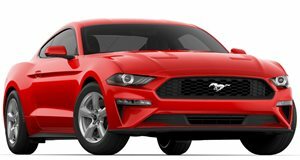 Ford did the same with its predecessor, the fourth-gen Mustang, back in 2001, too. And now to celebrate the film’s 50th anniversary, history has repeated itself as . Sporting a familiar Dark Highland Green paintjob, it’s a fitting tribute to the original Bullitt Mustang driven by Steve McQueen that also updates the current Mustang by adding another 31 ponies under the hood. But Ford didn’t stop there. Alongside the reveal of the 2018 Bullitt Mustang, Ford brought along its ancestor to Detroit. That’s right: the original 1968 Ford Mustang GT Fastback that starred in the film, introduced by none other than Steve McQueen’s granddaughter Molly. It turns out car has been rediscovered after more than 40 years. Two Mustangs were built specifically for the movie. One was the . The other was the “hero car” driven by McQueen, which is the car that was shown at Detroit. The famous movie car has now been inducted by the Historic Vehicle Association (HVA) into the National Historic Vehicle Register as the 21st car. Sean Kiernan of Nashville, Tennessee is the current owner. His father, Bob Kiernan, bought the car back in 1974 for around $6,000, and it’s been owned by his family ever since. They originally found it listed for sale in the October 1974 issue of Road and Track with its name misspelled: “1968 Bullett Mustang driven by McQueen in the movie. Can be documented. Best offer,” the advert originally read. Three years after buying it, Steve McQueen tried to buy the car from Kiernan but was turned down. After featuring in the film, it served as the only car for Sean Kiernan’s parents and was never modified. They drove it for about 46,000 miles and it was in 1981 when the Bullitt moved under its own power for the last time. “The rediscovery of the Bullitt Mustang is huge in the car world. Many people consider the chase scene featuring it to be one of the best, if not the best, car chase scenes of all time”, said McKeel Hagerty, CEO classic car insurer Hagerty “The mystery of where it’s been for 40 years only adds to its allure. There were only two Mustangs used for filming, and this was the one actually driven by Steve McQueen, the ‘King of Cool.’ Everyone probably assumed it was gone for good, and now it turns up in mostly unrestored condition, modifications made for filming, and with the original interior, including the seats McQueen himself sat in. That’s remarkable.” As for how much it could be worth, Hagerty reckons it could sell for around $4 million if the owner ever sells it, which would be around the same as the iconic Batmobile and James Bond DB5 sold for. You can read more about the original Bullitt Mustang’s fascinating backstory over at Hagarty.